BET Solutions’ participation at the 49th Conference of the Society of Nuclear Medicine India (#SNMICON) was a success! A preview of our new product designs, γ-eye and β-eye, was met with great interest by various development teams, especially labs currently performing ex-vivo biodistributions that can finally benefit from an affordable in-vivo imaging system right at their lab. 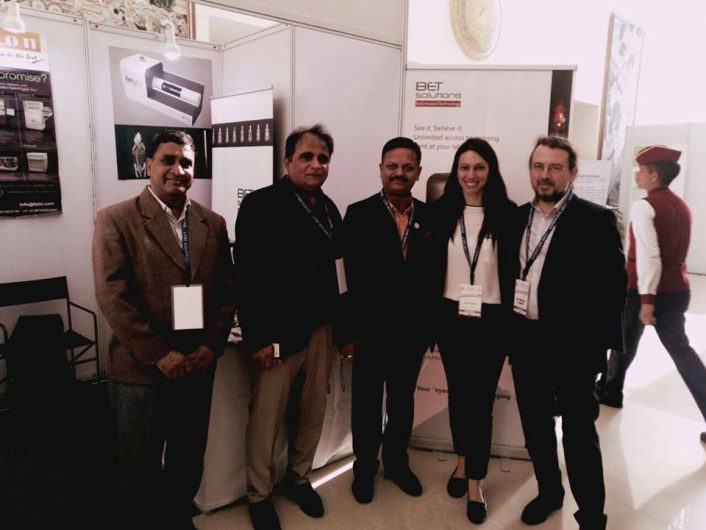 Thank you to our local partners, Fusion Scientific and to the many great friends in Delhi for the fruitful exchange of ideas that will form the basis of new promising opportunities and joint collaborations. It was a pleasure to experience such an exciting culture and we look forward to being back soon!